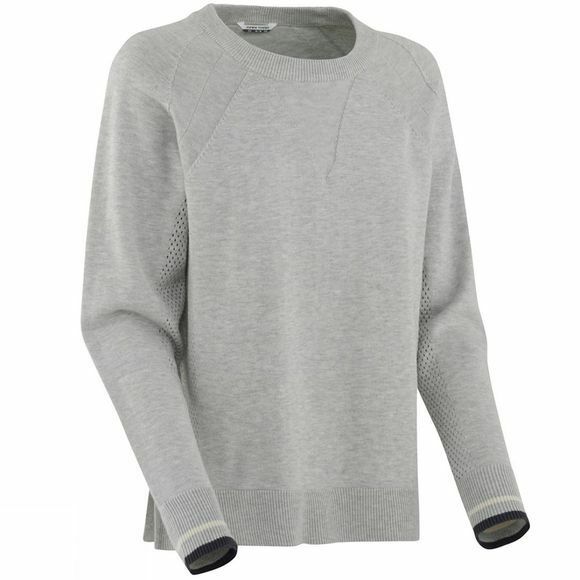 Kari Traa Tveito LS is a knitted cotton mix long sleeve. Clean looking design with raglan sleeves and split side hem. A casual silhouette and rounded neck makes it a classic.